Navigating descending a river is an activity as ancient as man, almost an instinctive propensity that awakens a sense of discovery and exploration innate in all of use. Waterways and coastal routes are the lifelines of civilization, the trails before there were roads, the transport system for people and goods, meeting places for peoples and cultures, who left countless traces of their passage such as bridges, mills, weirs, ironworks, canals, ports, lighthouses, watchtowers. Superimposing the hydrographic network of Tuscany onto its network of paths, the parallels between the two networks, although by nature completely different (one natural, the other of anthropogenic origins), arises almost spontaneously. 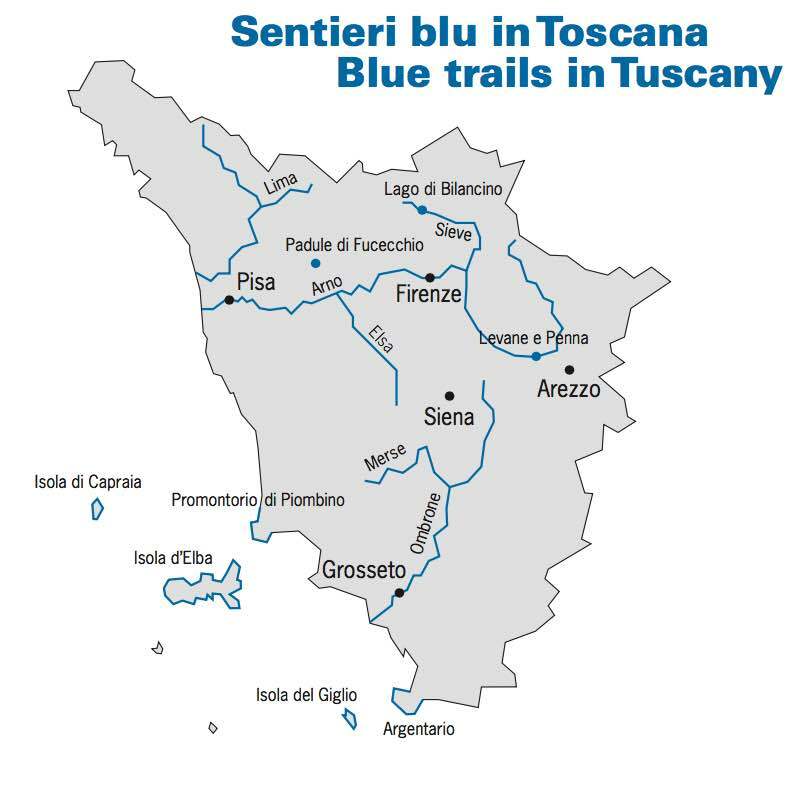 This is how our idea of a Global Excursion Network began, where pathways integrate, connecting and empowering those of land with those of water, hence the Blue Tracks. We propose their rediscovery both from an environmental, sports and recreational point of view.